Pamper your skin with the subtly sensuous Roger & Gallet Rose Soap collection, a beautifully presented box containing three individually wrapped bars. Created using a time-honoured artisanal process, each soap is made with a 100% vegetal base and soothing rose extract to balance and protect the skin. 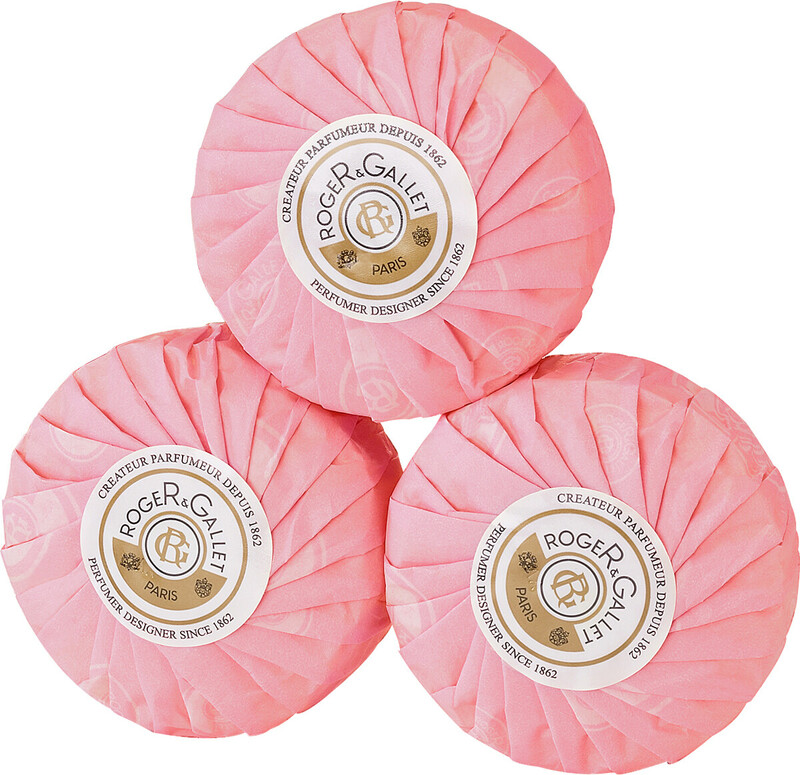 Wrapped in pleated silk paper and ring-sealed, each soap is presented with Roger & Gallet’s famous attention to detail. The delightful Rose fragrance of Nepalese rose, peony and almond milk is infused right the way through to the heart of each bar, ensuring lasting scent. After use skin is soft and toned, and laced with the bewitching Rose fragrance. 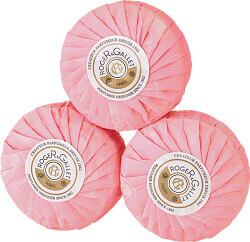 Roger & Gallet Rose Soaps x 3 100g is rated 5.0 out of 5 by 6. Rated 5 out of 5 by JBuk from Perfect Gift Quality products, beautiful range, fantastic customer service! Thank you. Rated 5 out of 5 by jennyh from excellent The service and product are second to none. I wil definitely use again. Rated 5 out of 5 by amelia from Love this soaps Good quality , lovely smelling soaps, and great for Christmas presents, and stockings. Bought them discounted . Highly recommended. Rated 5 out of 5 by Housemaid from I have purchased this truly super product for an elderly relative who raves about it. The soap comes beautifully packed, the fragrance is really lovely, and my purchase was speedily delivered. Well done Escentual! Another great purchase.